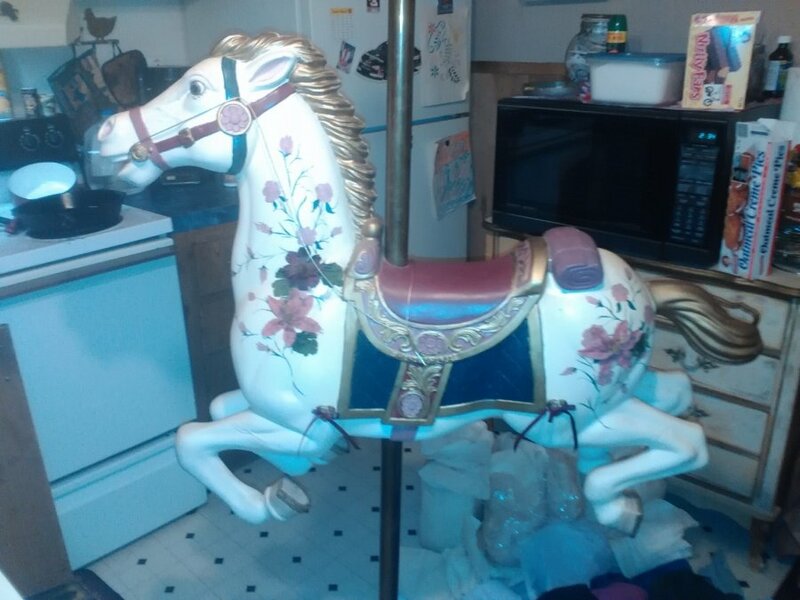 This is a beautiful, full size replica of a carousel horse. It is hand painted, and signed by the woman who painted it. It's sitting on a round, gold colored base. The saddle is red or maroon? And it has lots of different colored flowers on it. Just looking for any info, value, of course and any history attached to this piece or the painter.